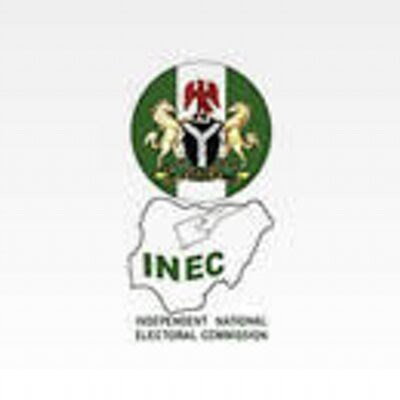 Centre for Credible Leadership and Citizens Awareness, an NGO, has described the July 8 Osun West Senatorial by-election as credible, free and fair. The NGO was accredited by Independent National Electoral Commission (INEC) as observer for the by-election. Its Director-General, Dr Gabriel Nwambu, made the commendation in his election report made available to newsmen on Saturday in Osogbo. According to him, the election is a great improvement over past elections in the country. Nwambu commended INEC for being proactive in distribution of sensitive and non sensitive materials to all polling units in the 10 local government areas that constituted the senatorial district. He said electoral officials were present at different polling units across the local governments before 8 a.m. This, according to him, strengthened the confidence of voters in the electoral process the more. He added that “the prompt distribution of materials and perfect performance of card readers and general logistics in the process indicated a significant improvement in the conduct of elections by the commission over the years. “Our organisation observed a significant improvement by INEC in terms of distribution of materials, performance of the card readers, and general logistics in the just concluded Osun by-election. “The conduct of the election was reasonably conformed to the constitution and the relevant provisions of the electoral act of 2010 as amended. “We, as one of INEC’s accredited observers, hereby affirm that the conduct of the Osun West Senatorial by-election won by PDP candidate Ademola Adeleke was credible. “The election also conforms to the provisions of the law and rule of engagement. We salute the courage and level of professionalism displayed by security agencies. “We specifically commend the Inspector General of Police, Mr Ibrahim Idris, for keeping to his words on proactive policing in line with UN tenets on mitigation of crime. “We also commend INEC Chairman, Prof. Mahmood Yakub for achieving significant improvement in overall conduct of the election, especially as it affects the effective use of the Card Reader Machine.” The by-election was prompted by the death of Sen. Isiaka Adeleke on April 23. His brother, Demola Adeleke, who contested the election on the platform of Peoples Democratic Party (PDP) won the election. He scored 97,480 votes to defeat Sen. Mudashiru Husain, the APC flag-bearer, who scored 66,116 votes during the election. Adeleke won in nine of the 10 local governments in the senatorial district.